When I first heard of Imoyo, the first thing that crossed my mind was “these Yoruba people dun start their stew wahala.” Until I made a pot and lost all my senses to a pot of stew. I had Imoyo and I never went back to fried fish stew. Now I know why a lot of us fall under the Yoruba stew spell. 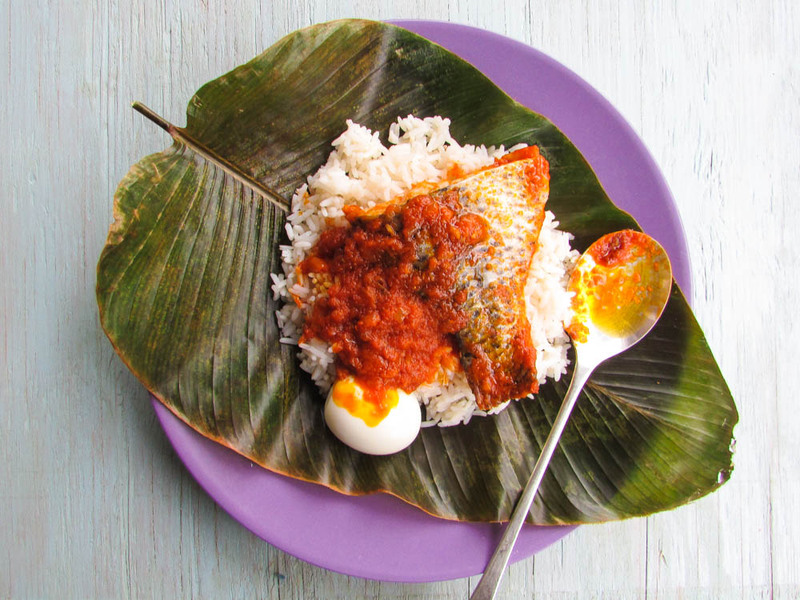 Imoyo is a very smooth fish stew cooked with a blend of tomatoes, peppers and onions in African palm oil. The taste of Imoyo is like a the comfort of a lover’s touch on a Wintery day. Imoyo, may have a mix of palm oil in it, but it is not a fried stew. My favorite part about making this stew is the sound of the bubbles while it cooks. Imoyo is one of those foods that you can never forget in a hurry. Especially when it is made right. wash fish with lemon and cut into little pieces. season with salt and set aside in a strainer. 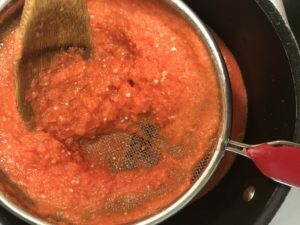 Blend tomatoes and peppers. Pour through a fine mesh sieve. (save the chaff for your egg stew). Heat the oil in a sauce pan(do not bleach), chop the onions into bits and pour into the warm oil. Fry until the onion is translucent. Add the tomatoes and cook until you see the palm oil peeking through the oil. Add the fish and bouillon if needed.cook for another 16minutes. Enjoy with rice, yam or plantain. Heat the oil in a sauce pan(do not bleach), chop the onions into bits and pour into the warm oil. Fry until the onion is translucent. Add the tomatoes and cook until you see the palm oil peeking through the tomatoes. Add the fish and bouillon if needed.cook for another 16minutes. Enjoy with rice, yam or plantain. 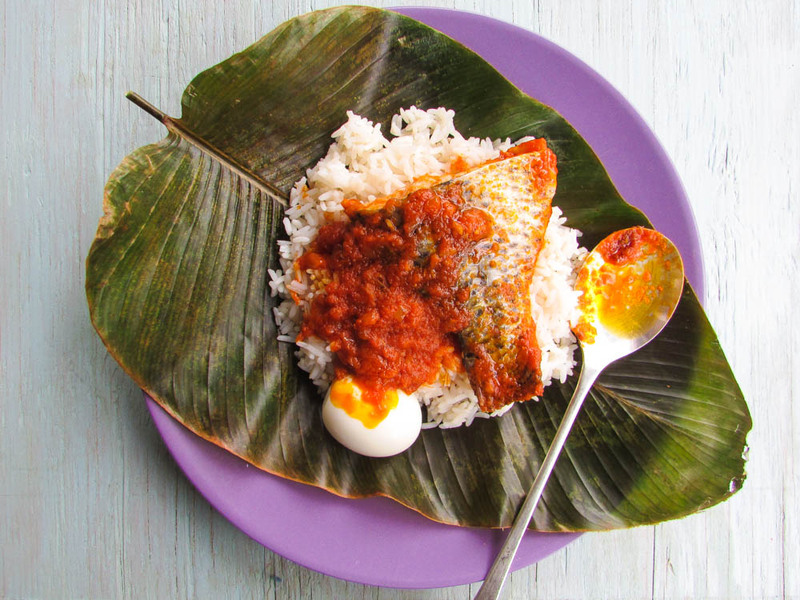 This entry was posted in fish, fish stew, Healthy Nigerian recipes, Uncategorized and tagged Imoyo recipe, Nigerian fish stew recipe, Nigerian food blog, Nigerian stew recipe, steamed fish stew recipe, stew recipe. ← Slow Cooker Party Jollof Rice and Chicken…Happy New Year!! !